How does Nanolash work for you? – The question I have been receiving recently. I will answer all questions today. At the same time, I will tell you about the right eyelash care. Two in one – you will get answers to the intriguing questions whereas I will satisfy my need for educating my readers. Kill two birds with one stone! The best idea is using a good serum e.g. Nanolash that you have seen on my profile many times. Before telling about eyelash enhancer benefits, a few words about a suitable and reasonable eyelash care routine. It is not so obvious. !!! First of all, cut down on things that harm the lashes: waterproof make-up, curlers, eyelash extensions, tinting, putting on false lashes, harsh make-up removal, etc. You know what I mean; there is no point in dragging on this. However, an everyday eyelash care with a conditioner is the most important thing. It is the best source of nutrients delivering eyelash repair and strength from within. It reaches the source – weakened bulbs that are the most common cause of the poor condition of lashes. The way we apply Nanolash serum has a huge impact on the effects. The product is used like an eyeliner. The difference is the serum is ideally absorbed and does not leave any signs. It penetrates bulbs and gifts them with all nutrients. Remember that a hair bulb is the only living part of hair; it is responsible for the growth. That is why all spiral conditioners bring no results. Nanolash works at its best for eyelashes in the phase of growth. Usually, it means the majority of lashes – 80-90%. The serum urges lash bulbs to work faster so after just 2-4 weeks you can clearly see a quicker growth. The effect lasts throughout the treatment and a few months after completing it. Nanolash bottle is enough for my six-month daily use. Then, I take a two-month break and go back to the treatment. How does Nanolash enhancer work for my lashes? it strengthened, hydrated, nourished and repaired my weak lashes. it extended my lashes and boosted their volume, delivering the eye definition. 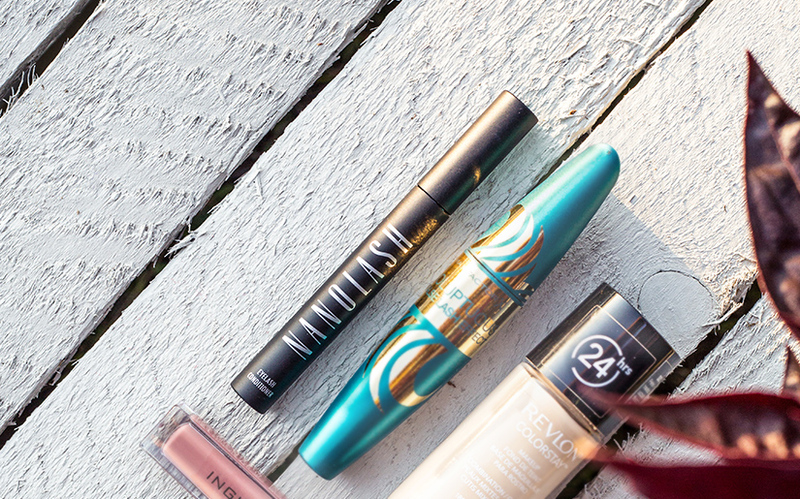 it effectively replaced mascara in a daily make-up. To me, Nanolash growth serum is irreplaceable in an everyday eye care. I have not noticed the effect of darkening, curling or shine-boosting but I never expect such things after reaching for a growth boosting serum. I have always aimed at reinforcing, lengthening and adding volume – Nanolash is the winner here. Considering the effectiveness, it beats all other eyelash conditioners. do you have any before and after photos?? ? I think I know that is that competition product it talks about 🙂 I also use it 🙂 it works just as good as nanolash only the price is almost twice as high. Eyelashes curler??? there is something like this??? it is true that extensions destroy lashes terribly. After few treatments I have half the eyelid bald. Eyelashes strips too? But it’s way better solution than extensions! If you glue it often it weakens lashes and when you take it off it can damage them. I’m a bit scared of such conditioners cause I heard that often eyelashes fall out. It was in my case at the start and I get scared and stopped using it but then learned that sometimes there is a reaction like this but then start to grow new longer eyelashes. Well, that was in my case. I’m month in and no difference… what’s it about?? isn’t good mascara for length enough? As to darkening I saw some change but when it comes to the curl there is none but for that I have great mascara. I don’t know if my lashes are darker or I just imagine it but seem thicker and there is more of them which is pleasant surprise. I use Nanolash for 8 months and i’m now on my second bottle. Only that I did not make any break in application, just for some time now I use it every 2-3 days (when I remember about it:)) and obviously the effect sticks. I was disappointed. Lashes are longer I’ll give it that but as to thickness I expected more. I applied castor oil to lashes and brows and are also longer now. I tried castor oil but it only cost me an irritation to eyes. I have same with every eyeliner, after using any my lids are prickly, but after this conditioner nothing happened neither at the beginning nor at the end of the treatment 🙂 I bought nanolash cause my girlfriends recommended it knowing I have sensitive eyes.